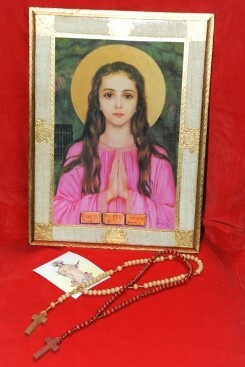 Hand Made exquisite wooden picture of Saint Philomena with cream and gold plated paint edging, depicting the tiles with the markings on the tomb of St. Philomena . With complimentary rosary beads and prayer card of Miraculous statue. Good quality product.